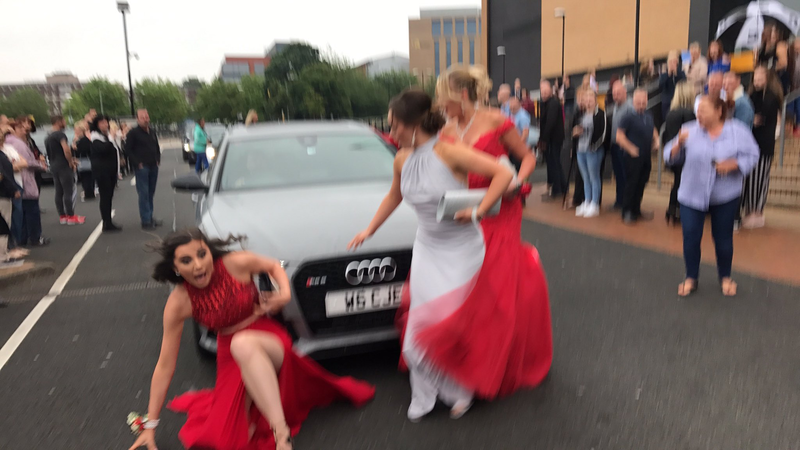 A teenager made quite the entrance to her school prom after she was knocked to her knees by car while posing for photos. Keeley Miller and her friends caught a ride to the event from a parent, and once they’d arrived decided to mark the occasion with a few photos. As the trio from Wolverhampton struck their best poses, the dad-turned-chauffeur accidentally revved the car forward, knocking into the girls and throwing Keeley to the ground. The moment Keeley buckled happened to have been caught on camera and she shared a photo of the mishap on social media where it racked up over 22,000 retweets and 133,000 likes. Luckily the 16-year-old and her friends survived the ordeal – despite a graze to her knee – and were able to enjoy the rest of their special night together. Wimbledon 2017: Is grass the most difficult surface to play on?